Passing matric is one of the most important milestones of your life – the first step on your road to your dream career. 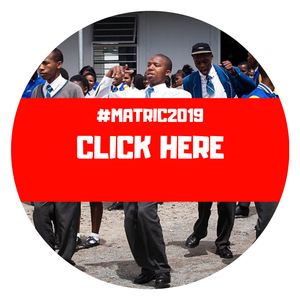 Moving forward, it's important to know which subjects you need to help you on your way, and what exam results you will need to qualify for a spot at a university, university of technology or Technical Vocational Education and Training (TVET) college. The National Senior Certificate (NSC) pass requirements have changed tremendously with the introduction of the Curriculum and Assessment Policy Statements (CAPS), which revolve around three pass levels that determine your future study options. You will need a passmark of at least 40% in your home language. You will need a passmark of at least 40% in two other subjects. You will need a passmark of at least 30% for three other subjects. If you fail a maximum of one subject, your School-based Assessment (SBA) items like tests and assignments will be used to evaluate your pass. It’s also important to remember that one of your languages must either be English or Afrikaans to qualify for a Higher Certificate. You will need a passmark of at least 40% for your home language. You will need a passmark of at least 40% for three other high credit subjects. You will need a passmark at least 30% for two other subjects. ​You will need a passmark at least 40% for your home language. ​You will need a passmark at least 40% for four other high credit subjects. ​You will need a passmark at least 30% for two other subjects. ​You will need a passmark at least 30% for your first additional language.